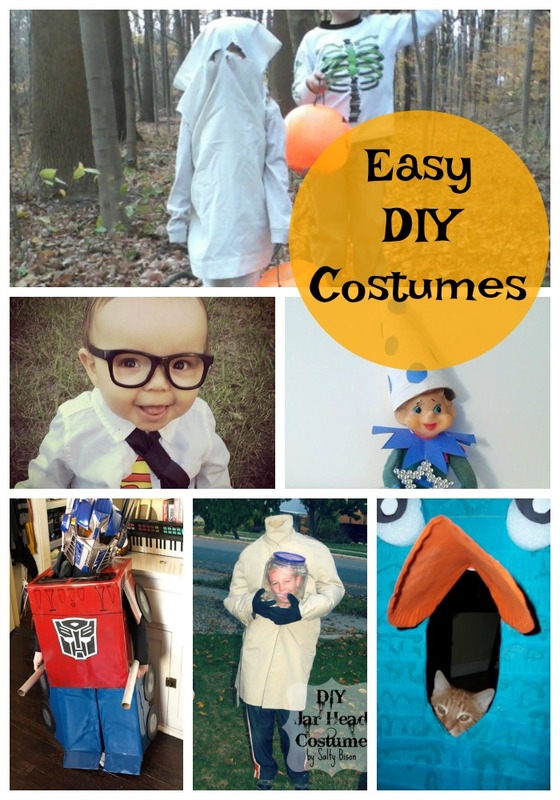 Looking for SUPER EASY homemade Halloween DIY Costume Ideas for Kids? Over the years, we've thrown together a ton of quick Halloween costumes for kids. Pre-teens and Teens love them too. All of our costume ideas are no-sew and most were made by Mayhem! She loves to create something from nothing. All are easy to throw together in an afternoon. So, what will you be for Halloween? 20 Easy DIY Halloween Costume Ideas for kids and teens. Do you have Transformer fans like we do? This Optimus Prime costume made from a box is the bomb! It even transforms to a truck when not in use. Way to go, ModernKiddo. 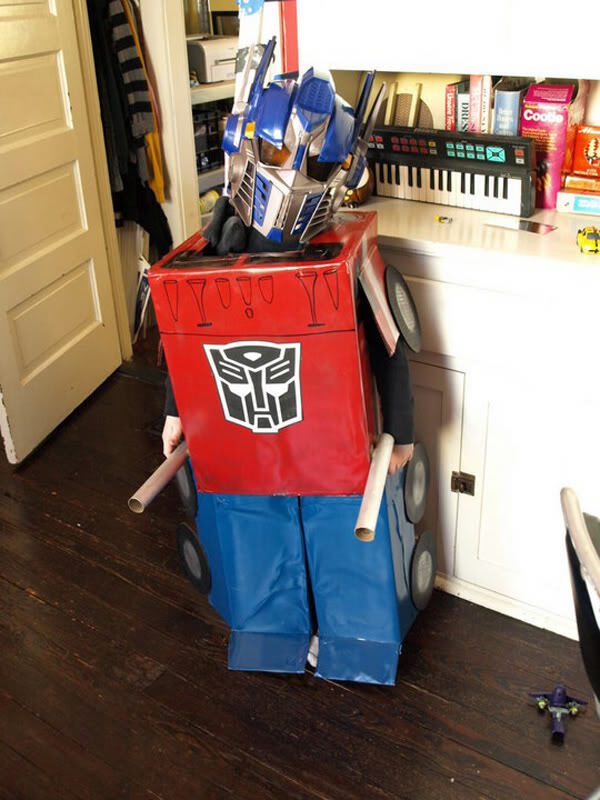 Optimus Prime Homemade Costume from ModernKiddo. 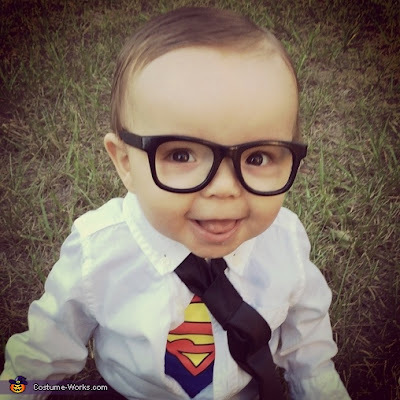 We know your baby is super, so show the world with this fun DIY Clark Kent costume from CostumeWorks. Tip: Works for super Dads too! Clark Kent DIY Costume from CostumeWorks. Do you have a teenage boy who needs a Halloween costume ? 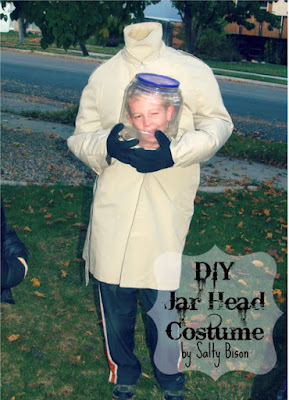 Try this head-in-a-jar costume from ThirtyHandmadeDays. They've got an amazing tutorial! DIY Jar Head Costume by ThirtyHandmadeDays. If you try any of these diy Halloween Costume Ideas for kids and teens please share your images on our Facebook page.